Christa Wolf tried for years to find a way to write about her childhood in Nazi Germany. In her 1976 book Patterns of Childhood, she explained why it was so difficult: “Gradually, over a period of months, the dilemma has emerged: to remain speechless or to live in the third person, these seem to be the options. One is impossible, the other sinister.” During 1971 and 1972 she made thirty-three attempts to start the novel, abandoning each manuscript only pages in. Eulogy for the Living, written over the course of four weeks, is the longest of those fragments. 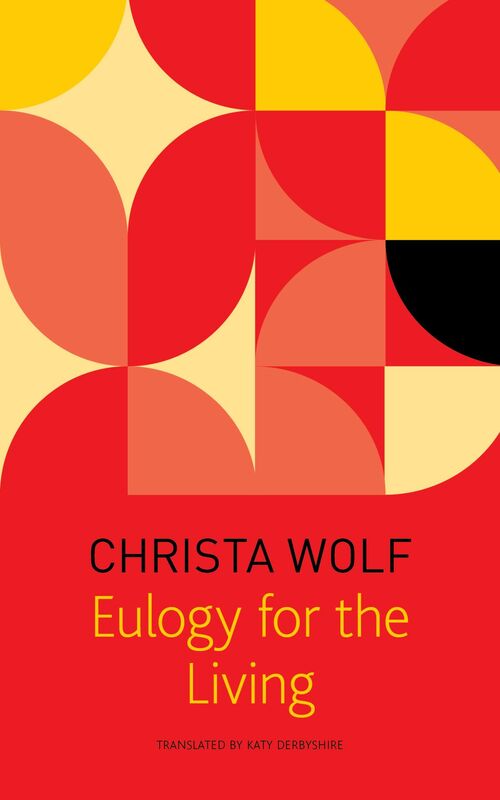 In its pages, Wolf recalls with crystalline precision the everyday details of her life as a middle-class grocer’s daughter, and the struggles within the family—struggles common to most families, but exacerbated by the rise of Nazism. And as Nazism fell, the Wolfs fled west, trying to stay ahead of the rampaging Red Army. Though Wolf abandoned this account, it stands, in fragmentary form, as a testament to her skill as a thinker, storyteller, and memorializer of humanity’s greatest struggles.